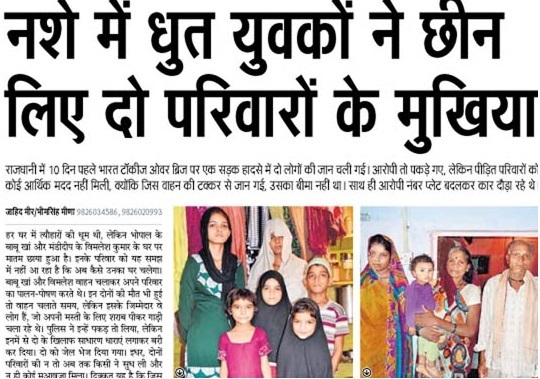 It's heart-breaking to see how families are devastated when an earning member is killed in a road mishap. Especially, in families where the victim was the lone earning member, the spouse and children's future turns bleak. 1. Babu Khan, drove an auto-rickshaw to eke out his living. A man who was drunk, was speedily driving his car that hit the auto. Khan died in the mishap, leaving behind his wife and children. 2. Vimlesh Kumar, who worked at a factory, was travelling in the auto-rickshaw then. He also got critically injured and later succumbed in the hospital. Vimlesh was also the only bread winner for the family that includes his parents, wife and children. Those travelling in the vehicle were released on bail, because the Indian Penal Code (IPC) section 304 (A) i.e. negligence causing death is a bail-able and light section. The car that caused the mishap didn't have insurance. As a result, there is little hope that the families may ever get compensation. But the biggest issue for them is how to cope with this tragedy. The earning members have gone and there is no helping hand. As with most lower middle-class and poor families, there is hardly any saving. Away from the glitz of newspapers that talk of Sensex, most of the families hardly have the resources to even think of a future [school, clothes]. The immediate issue is of the daily bread. Khana kahaan se aayega? Yes, this is a stark reality. The incidents happen regularly. There is no dearth of NGOs working in different sectors. There are several government departments. But there is no proper policy in this regard. If the affected family gets an interim compensation that can give them a breathing period and help them stand on their fee, it can help so many families. Deaths in accidents are something that can happen with anyone. It doesn't need a great brain to figure out how much money is needed for the subject. In districts there are 100-300 fatal mishaps a year [not talking of districts that include metros like Mumbai, Delhi. There can be different models for running a scheme to help survivors or families of those who die in accidents. At district-level, NGO or group of people can take charge. A corpus fund can be created with social workers or elderly citizens with clean image can be brought in. An influential businessman or politician can be made patron. Such persons who are ready to shell money or can help mobilise funds can come to the aid. It is not difficult to get money for this cause. There are innumerable moneyed persons who want to donate, but for a GOOD CAUSE. Real charity. Compensation of Rs 50,000 or 75,000 after the incident as per the financial condition of the family or on case-to-case basis can help the victim's kin a lot. Or it can be a basic Rs 3,000-5,000 monthly help for a year or two. At least, the kids can keep going to schools and other family members can meanwhile take up some work. Politicians can be brought in as they love to be part of schemes that spread goodwill, as they feel that it helps their image. Don't paint all of them with the same brush. Politicians like to nurture constituency and know how such things go a long way in helping their careers. They have huge funds at their disposal and they can egg on others to contribute. Further, there should be a system to ensure that the real needy get the help. Then, there are centres run by NGOs for women, where they can work and earn with dignity. There should be a system to take care of that as well. It is not impossible. Innumerable people are doing great social work, individually. For such causes, a few people need to join hands. I have much more to write and discuss on this subject. But this is a preliminary post. I must thank the newspaper for this report. The journalists--Zahid Meer and Bhim Singh Meena, for the report titled, 'Nashe mein dhut yuvakon ne chheen liye do parivar ke mukhiya' in DB Star section of the paper. Are there certain books which you require more than others? Or the books which you must have in your room or on your table? As far as I am concerned, there are some books that I need to consult on a regular basis and ensure that they are always within reach. I always prefer them than going to a Search Engine to find certain information. 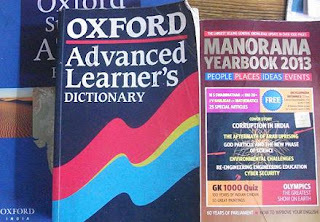 The first is Oxford Advanced Learner's Dictionary. In my school years, I had even more voluminous dictionaries of Oxford, Collins and Chambers. But in later years, I realised the importance of Advanced Learner's, as it tells not just the meaning but also the usage i.e. how to use the word. I have this dictionary at my home, another copy in my office and yet another Advanced Learner's at my ancestral place. I'm sure I am not obsessed with it. The second is Atlas. I must have it around me. Maps have always fascinated me from childhood. This is a books that you need to consult quite often. Either it is about location of a city within a country or about whether boundaries of a state touched another state [or sea], Atlas is a must. 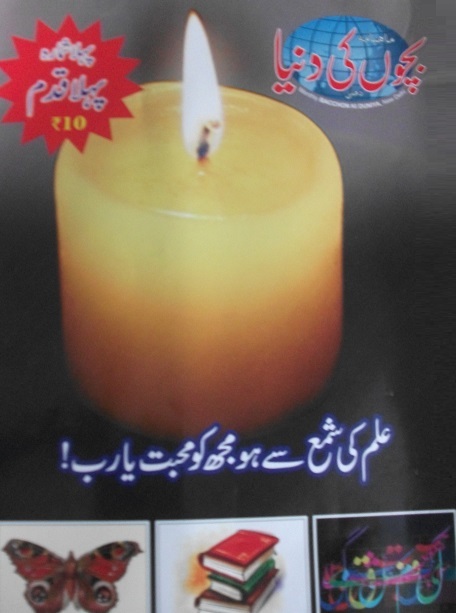 The third is the Manorama Yearbook. It can be any other Yearbooks like Europa also help. 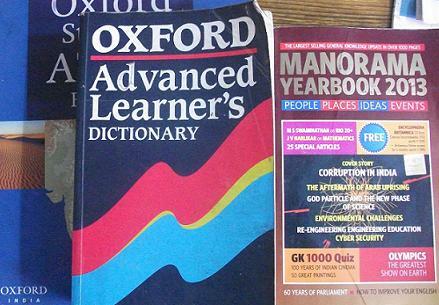 But I have been buying Manorama Yearbook since 1989. 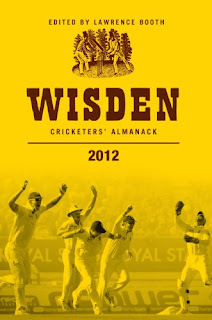 Though standards aren't the same now a days but it is still the best Yearbook for information pertaining to India. If you feel like checking whether Allahabad is a bigger district in terms of population or Varanasi or about the area of Janjgir or Jalpaiguri, it is the best book to have on your table. In older versions, they had more details like exhaustive statistics on religious and linguistic populations, in-depth coverage about political events and political history of Indian states and other tidbits. But it is still a great reference book. I always believe that a DICTIONARY, An ENCYCLOPAEDIA/YEARBOOK and an ATLAS, are three books that must near you--so that if a thought comes to you or you in a doubt, you should be able to immediately get the details. Apart from them, you can have other books depending on your interest. I keep two other books in this list. They are always on my centre table or the table near my bed. 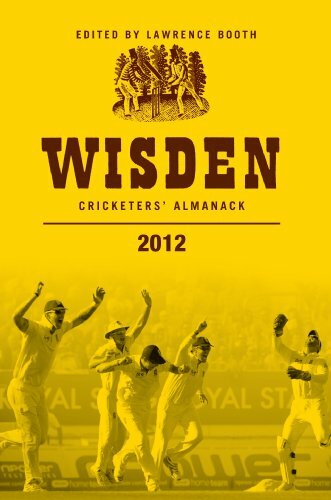 They include WISDEN and the URDU-ENGLISH dictionary. 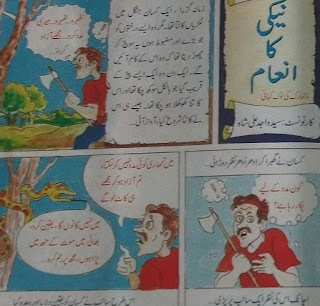 Earlier, I also had a qamoos--the Farhang-e-Aamira, a unique dictionary that gives meaning of most tough Urdu, Arabic, Persian and Turkish words. There are some other additions to this list. A few other reference books which should be in the shelf near you. Now tell me the names of the books you consult most or the ones which you wish to have around you. As Centre clears the formation of Telangana, there is another aspect that has not been discussed much till date--among the regional* languages, Telugu will now enjoy a unique position. It will be state language in two states--Andhra Pradesh and Telangana. No other 'regional' language exclusively enjoys this status in India. Nearly five decades ago Potti Sreeramulu had sacrificed his life, with his fast unto death for 'Telugu' speaking state and in process broken Jawaharlal Nehru's resolve. Sreeramulu's death had forced government to form states on linguistic grounds [reorganisation]. Now, one again, the movement from the same land [region] in Deccan, has forced the Centre to bend their knees, and accept carving out Telangana from AP. People have their own opinions about ramifications of the decision. But its a fact that till now no language was official and popular language in two states [except the Raj Bhasha, Hindi]. Bengali had West Bengal, Oriya had Odisha, Marathi had Maharashtra and Malayalam had Kerala. Rise in Telugu language status & clout! One of the oldest languages, Tamil, that has a large number of speakers, also has one state--Tamil Nadu. Similar is the situation for Kannada, Gujarati and other languages. Urdu has status of first language in Jammu and Kashmir (J&K) and second language status in UP, Bihar, Himachal Pradesh, Delhi, Jharkhand & Andhra Pradesh. But this is more on paper, rather than being on ground. With two States [two chief ministers, two governments, two assemblies], both having large population [AP was a huge state], supporting Telugu, the language has surely stolen a march over all other non-Hindi languages in the Indian Union. It will challenge the balance of power. Having ceremonial status of allied first or second language is a different thing. One may say that Punjabi is spoken in Delhi or in Haryana but having two states solidly propping a language, is different. You may say that the population remains same but the fact is that when two states--two governments, back a language, its status is bound to change and go up significantly. In the Census 2011, AP had a population of 8.46 crore. By now, it is over 9 crore. The two states will have a population of nearly 5 crore each. Area wise these states will be large enough. I doubt if the status of Urdu as second language will continue in Andhra Pradesh. Future will tell how this will affect the demands for other states. There are strong demands to carve out four states in Uttar Pradesh (UP). 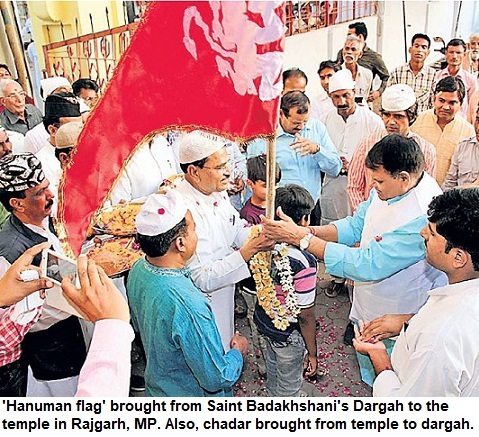 There is lot of concern among Muslims regarding their political future in Telangana and Andhra Pradesh. Many foresee rise of BJP in Telangana. A section of Muslim intellectuals and masses sided with TRS and its demand for dividing AP. The fact is that Telangana will have a higher percentage of Muslims. nearly 13-15%. But their population will be much more high in urban areas. It will be over 25%. The fear of rise of communal forces may or may not come true. Interestingly, AIMIM leadership feels that though BJP may grow strong, the Majlis will also be strengthened. The reason is that in a smaller Assembly, there numbers will be more crucial in case of hung verdict. Will Congress get favour from electorate after the decision? It has to be seen. The names of the districts that will form Telangana includes: Hyderabad, Rangareddy, Nizamabad, Adilabad, Khammam, Nalgonda, Medak, Karimnagar, Mahbubnagar and Warangal. There is a possibility of inclusion of two more districts including Kurnool. The remaining districts would go to Andhra Pradesh [Seemandhra], which will be reduced to nearly half the size, comprising Rayalseema and Andhra regions. People in Telangana felt that they didn't get their due share in power and jobs. Those from Andhra had been more successful, they felt. Reddys, no doubt, had money and wielded more clout. This is another reason that Andhraites want Hyderabad to remain a joint capital. As far as status of Hyderabad as joint capital or union territory is concerned, it is not practical as the City is not on border like Chandigarh [which touched both Punjab and Haryana] but in the heart of Telangana and far away from Andhra. Vizag [Visakhapatnam] or Vijaywada may be identified as capital of Andhra. There is strong argument for small states. It is said that mall states do ensure development in regions that remained backward for ages. People in far away districts also enjoy fruits of development. There can be differences of opinion over the success of small states, especially, in view of Jharkhand, Uttarakhand and Chhattisgarh. Still, there is more visibility of Government in small states. Chhattisgarh may have seen rise in Naxalism but it also witnessed development after it was carved out. Telangana will be a new state. One just hopes that the suicides and violence which we witnessed during the agitation for statehood would now come to an end.